Are you thinking about starting your own painting business? Maybe you already own a home repair company and want to add painting to your available services? Whatever the case, a paint sprayer can be a huge asset for any business, as long as you choose a model that meets your specific needs. Here’s how to choose the best paint sprayer for your business. Start out by thinking about the types of jobs you’re going to take on, as this is going to influence your final decision quite a bit. Interior or exterior painting jobs, where you are going to be working with walls, fences, house siding, and similar settings, means you’ll want a sprayer that can create a broad spray fan and offer full coverage in a single pass. There are many airless sprayer systems that would allow you to do this easily. On the other hand, detail work that calls for a lot of close attention to small areas, such as with automotive painting, is likely going to push you towards a compressed air sprayer. 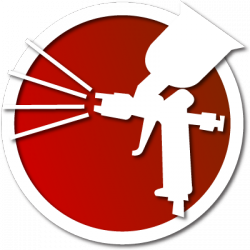 Also, compressed air sprayers may be necessary if you are working with certain types of specialty paint compounds. While paint sprayers make the actual process of painting much easier, they still require a certain amount of skill to operate effectively. If you don’t have much experience with painting or using other types of equipment, or want a very simple system for your employees to use, then stick with an airless sprayer. If you and your team are familiar with using a variety of tools, and prefer to have more control over the entire painting process, then you might want to look into compressed air sprayers, which do require an air compressor to operate. However, there are some commercial grade airless sprayers specifically designed to simulate a compressed air sprayer without actually requiring one. Odds are you’re going to need to move around a lot while you’re on the job, which means having a sprayer with a long reach is important. This is really where an airless system can come in handy, since they often come with long hoses that allow you to operate the sprayer many feet away from the base. Similarly, having several smaller airless sprayers can also allow you or your employees to cover more areas quickly, since you can divide the work up. Choosing between these two depends on the number of employees you have as well as the scope of the overall project. Cleaning is going to be essential for a commercial paint sprayer, since you’re most likely going to be using it quite a bit. Some larger airless systems have built-in cleaning features that allow you to connect to a hose for quick system flushes. Compressed air sprayer guns can also be much easier to clean, since they are often made of metal. Making the choice is probably going to come down to the scope of your projects, and to your available budget. Just remember that investing in a tool that gets the job done fast and well can save you a lot of money in the long run.